Although your layout may go through many changes, try to think about future requirements and then jot down your ideas or even better design your layout and then build it in such a manner that you keep the big-picture in mind. Well yes, that’s an obvious statement but not many people actually work out their requirements until their project is finished! Actually , I believe most people have some pretty good pictures, ideas or dreams in their head, and believe that they have it all worked out. Unfortunately those “solid” pictures or ideas get obscured by new ideas, changes and enhancements..and soon you are merrily building your layout without a plan! 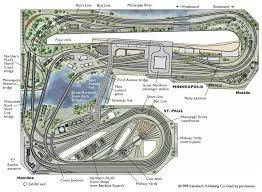 Do you want to run the entire layout yourself, on your own with no assistance whatsoever? 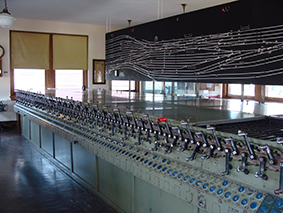 Do you want to drive all the trains yourself, but have the signals change on their own, based upon how the turnouts are set, where the trains are and where they are going? Do you want to drive the trains yourself but have an automatic system that attempts to prevent collisions, perhaps by cutting power to a track if the train there is about to run into another train ahead of it? or do you like to sit back and just watch the trains go by occasionally? Do you want scenic items (level crossing gates, street lamps, motorized fairground rides) and railway sounds to operate to a coordinated schedule, and synchronized to the railway? Do you want an automatic shunting movement list, coordinated between several operators, but using computer displays instead of the usual ring-bound pages? Do you want to drive some trains, but have others running automatically? Are you part of a club that runs a large layout at exhibitions that needs several operators. If so are there times during exhibitions when operators are in short supply, or need to take a break. Might it be useful to have an ‘autopilot’ that could take over smoothly and interact with other operators (both human and automatic? Deciding what you want to do, both now, and what you might like to be able to extend to system to support in the future, is a critical step. Unless you are absolutely clear about what you want to achieve, you will probably end up making unnecessary and sometimes costly mistakes..but hey, its your layout! Once you have an idea where you want to go the most important thing is to figure out what hardware you need. 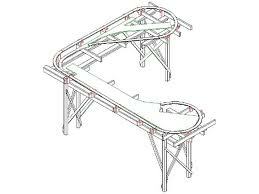 While powering a layout with DC is common, and is relatively inexpensive, DCC systems have matured to the point where the advantages far outweigh the cost. and certainly, with a bit of planning, you are free to run both DC and DCC if you wish. 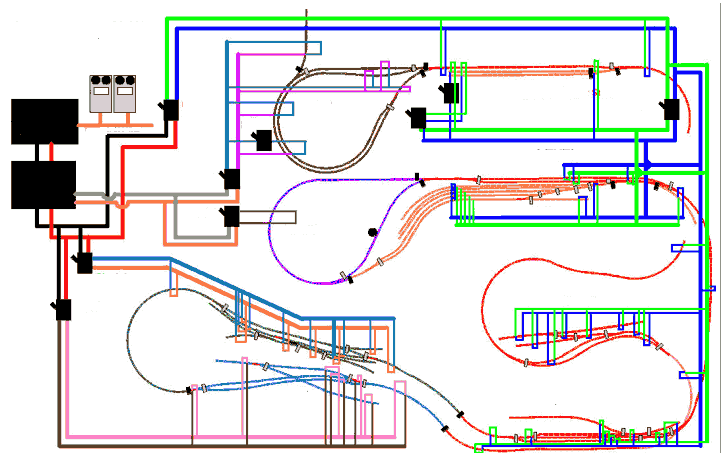 One of the most critical decisions you will need to make, is to decide (as early as possible) what interfacing and feedback you will required between your layout and the control system. How do we feed power to the track; and so on. How will you manage short circuits and will you be able to isolate sections of track in the case of problems Changing your control system later is relatively easy but adding sensors and changing track segmentation after your scenery is finished is rather harder (here I am assuming that you don’t rip-up and re-lay track for the fun of it). Remember that changing your control system later may be simple and relatively easy, but adding/changing feedback sensors or adding/changing track segmentation (blocks) after your scenery is finished is quite another story – and unless you think that ripping-up and re-lay track is fun, this is definitely something you want to avoid. By now you should have an idea of what the control system needs to do, and have probably got some fairly set ideas of how to implement it. Stop! Step back and assume that all those ideas are wrong..
What about a network of computers, peer-peer networking, wireless control, integrated sound and lights ? I am certain that you ‘know’ that you wont want all of these options, but I suggest you speculate for a few minutes what would happen if, in a years time you realized belatedly that you have to ‘upgrade’ to the next one down the list. Perhaps you get everything working and then decide you want some fancier behavior, or more extensive control panels that might be messy, if not impossible with your chosen system..
By giving some thought to these issues you will make much better and informed decisions. For example you decide that you should use a micro-controller circuit (module)- you purchase and implement this module and start automating your system, and indeed you achieve good results..
Now imaging it is a year later and you decide that you want to add a Computer system that will enhance your railroad and operating sessions even more.. Lets say you planned ahead by designing your wiring harnesses and interfacing hardware in such a way, so that you are now able to simply swap cables to switch between the micro-controller and the new system- how sweet is that ! this is indeed a realistic approach if planned for. While most layouts will probably need no more than a single control computer, it may well be worth the effort to investigate and check that you will be able to upgrade. As an example you may want to run several monitors, or perhaps you just want to create redundancy, if you plan ahead you may well be able to easily feed different parts of the layout to different computers with minimum fuss. I hope this article will get you thinking, and if not remember what “they” say..Failing to plan is planning to fail !